and complex world of Tarot easeful and natural and very fun. I am very grateful for the knowledge she has shared and my beautiful ever-deepening relationship with the cards. 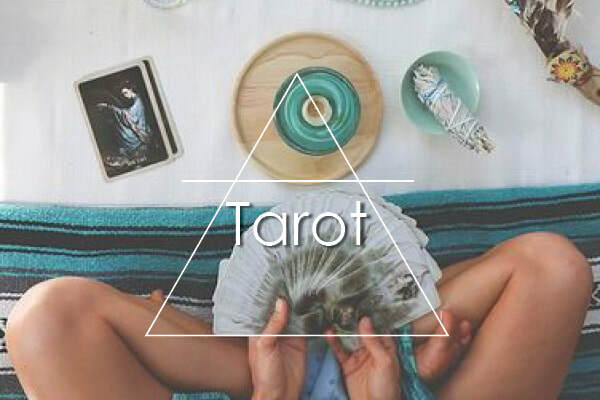 Are you intrigued by the Tarot? Do you want to awaken your intuitive awareness? Do you feel drawn to assist others on their path? Are you ready for a self-development journey? The this flexible 12 lesson course is for you. Learn Spreads to Help Yourself, Friends and Your Family. This is a 12 lesson course with assignments that need to be completed and returned within 2 weeks. Dawn will assess your work prior to sending the next lesson. If you work to this time frame the course will take around 6 months. You may take up to 9 months. You can begin at any time. A certificate is mailed to you upon successful completion of all 12 assignments. Each lesson is $65. This is payable in blocks of 3 lessons. Your first payment will be $195 prior to your first lesson being sent. $195 will then be payable prior to lessons 4 being sent. If you wish to pay in full the fee will be $697, a saving of $83. This flexible payment structure means you don't have to pay the full fee up front. Once you have received Lesson 1 you have seven days to return the lesson if you feel it isn't for for you. A full refund will be granted. Dawn is a skilled and enthusiastic teacher, she has been teaching Tarot to practitioner level for the past 20 years. "Thank you so much Dawn! I have learnt so much and have gained much more confidence using my intuition. You are very inspirational and inspired me to do things I thought seemed impossible." "Thank you for sharing your knowledge and wisdom of Tarot. It has made me understand, earn and appreciate Tarot at a totally different level than what I originally expected." "Do it, I love it, I want more!" "I've gained confidence in my intuitive abilities and I love how I can use tarot whenever I wish to access guidance for myself and others. This was a fantastic course; I cant wait to take the Advanced class too! Thank you so much Dawn." 'Thanks Dawn for a vital and stimulating course!" ​This 12 week course will suit beginners and those wanting to brush up on how to use their cards and work more intuitively. Many of Dawn's students are now working as professional Tarot Practitioners. ​Let your Tarot confidence expand. This 10 week course is for those who have a Tarot Certificate or a minimum of 40 hours of Tarot experience with others. "Dawn is an amazing teacher, she makes entering and exploring the rich and complex world of Tarot easeful and natural and very fun. I am very grateful for the knowledge she has shared and my beautiful ever-deepening relationship with the cards"
​"Dawn's depth of knowledge and scope is infectious _ I cant't help but want to know more."